Water Puppets need to take turns at performing on water, because if they take too much dampness their wood risk to decay. Therefore, artists have to periodically switch them, and at every turn they check and repair puppets on call. 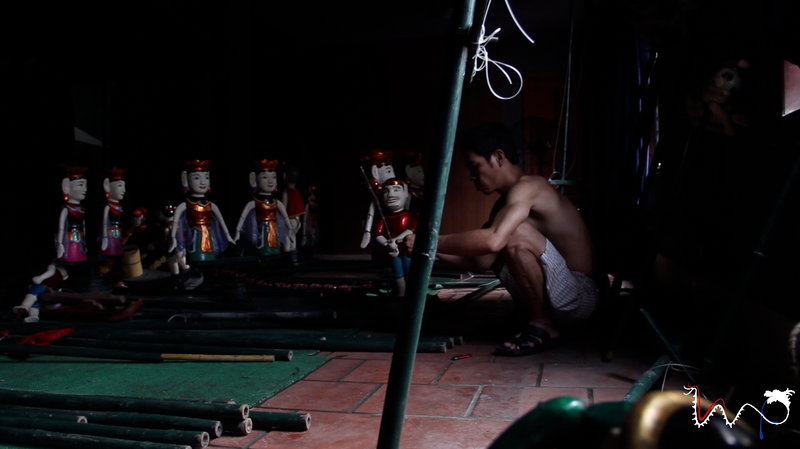 Pictures taken in Hanoi National Puppetry Theatre. 23 Apr	This entry was published on April 23, 2012 at 01:17. It’s filed under pictures, water puppets' notes and tagged artists, hanoi, theatre, vietnam, water, water puppets, women, wood. Bookmark the permalink. Follow any comments here with the RSS feed for this post.